Oliver Schmidt’s decision to holiday in Florida now seems foolhardy. As a senior VW manager linked to the firm’s diesel emissions scandal, a vacation anywhere but the United States would have been more prudent. The former general manager of Volkswagen’s US engineering and environmental office was arrested on Saturday in Miami and appeared in court on Monday, charged with fraud and conspiracy in not disclosing a cheating device used to rig US diesel emissions tests from 2008-2015. He was remanded in custody as a flight risk. The emissions scandal, which broke in September 2015, has affected 11 million cars worldwide across VW’s multiple brands, including Audi, Seat and Skoda. It involved 500,000 cars in the US and an estimated 8.5 million across Europe, among them 110,000 in Ireland. It has already cost the car giant billions of euro. Now the focus has moved from how it happened to who knew what and when. Along with civil lawsuits, criminal investigations are in full spate. The timing of Schmidt’s arrest was bad news for the German car giant, coming just as it finalised this week’s $4.3 billion (€4.07 billion) settlement with the US justice department and Environmental Protection Agency. Along with the payout, the settlement will see the carmaker plead guilty to charges, including wire fraud and violating the US Clean Air Act, and agree to be supervised by an independent monitor for three years. Volkswagen had previously agreed to spend up to $15.3 billion (€14.5 billion) in the United States to resolve claims by regulators, owners and dealers. It has offered to buy back nearly 500,000 US vehicles. The root of the scandal dates back to 2005, when VW launched a major diesel campaign in the US market. At the time, Volkswagen was working on an ambitious plan to overtake Toyota as the world’s biggest carmaker by volume by 2018. While the Chinese market was a cash cow for the motor industry, the weak link for VW Group was the US. Like most European brands, its engineering focus was on diesel technology to meet the EU’s political desire to lower the automotive CO2 footprint. However, in the US petrol was king and in many states diesel was – and still is – regarded as a dirty polluting fuel, and therefore heavily regulated for emissions. Ironically, since the VW scandal many European authorities now regard diesel in the same light and are seeking to ban its use in large cities. To achieve its sales objective, VW had to come up with a diesel engine capable of meeting the stringent US emissions standards, particularly for nitrogen oxide (NOx), which is harmful to health and a potential carcinogen. Work began on a new generation of diesel engines, known as EA189. One of those involved was James Robert Liang, an engineer working on VW’s diesel development programme at its head office in Wolfsburg, Germany. Liang was arrested last September in the US and pleaded guilty in a Detroit court to conspiring to defraud US customers and regulators. He agreed to co-operate with federal prosecutors investigating the carmaker’s conduct. A plea agreement stated that, even as VW billed its cars as “clean diesel”, Liang and other company employees “knew that these representations to US customers were false and that VW’s diesel vehicles were not clean”. The court heard that Liang and his co-conspirators soon realised “that the engine could not meet both customer expectations as well as a new, stricter US emissions standard”. As a result, “they pursued and planned the use of a software function” to cheat the tests. The device could identify when the car was being tested and change systems accordingly. When the car was not being tested, the device operated in a different mode, where “the vehicles’ emissions control systems were reduced substantially, causing the vehicle to emit substantially higher amounts of nitrogen oxide, sometimes 40 times higher than US standards”, the legal filing said. Liang was also a key part of VW’s efforts to quell regulators’ concerns about the vehicles following a 2014 study, which identified discrepancies between the cars’ emissions in lab tests compared with their actual road performance. In March 2014, a study by the nonprofit International Council on Clean Transportation raised questions about the real world emissions of some VW cars. In response, Liang “pursued a strategy to disclose as little as possible” about the illegal software. He “intentionally made . . . false and fraudulent statements” to the US Environmental Protection Agency and the California Air Resources Board to make the discrepancies appear as if they were innocent mechanical and technological problems, the legal filing said. When VW recalled half a million cars in early 2015 to “fix” the emissions problem, Liang allegedly knew the recall would not work. Despite repeated denials, on September 3rd, 2015, when US regulators threatened to withhold certification for 2016 vehicles, the car giant finally admitted to installing the cheat devices. The news didn’t reach the wider world until September 18th, when it was disclosed not by Volkswagen but by US authorities. Evidence to date has outlined how the cheating was carried out. The arrest of Oliver Schmidt now seems to move the scandal on to the more pertinent questions for investors and criminal authorities: who knew what – and when did they know it? A criminal complaint, made against Schmidt before a court in the eastern district of Michigan by an FBI agent in December, was unsealed on Monday. It states that Liang has been joined by two other unnamed “co-operating witnesses” from within VW who are helping the government investigation in return for an agreement not to prosecute them in the US. The FBI claims Schmidt and other VW employees told the company’s executive management about the “existence, purpose and characteristics” of an emissions cheating device in July 2015, and that the executives chose not to immediately disclose it to US regulators. That was two months before VW finally admitted that, since 2009, it had fitted software to more than 11 million cars designed to cheat emissions tests. It references a chart prepared for a July 27th, 2015 meeting of executives, warning about the risk of “indictments” if the deception was uncovered. This contradicts claims by several executives at the time that they knew nothing about the cheat devices. Former chief executive Martin Winterkorn resigned five days after the scandal broke, denying he had any knowledge of it. He was replaced by Matthias Müller, who came from sister brand Audi. Last March, VW admitted that Winterkorn received emails about the growing emissions crisis in the US more than a year before it became public. However, it said there was no evidence that he read the emails. Regarding the July 27th meeting, VW has said it was attended by Winterkorn and Herbert Diess, currently head of the Volkswagen brand. However, the firm claims it is not clear whether the participants understood at this point that the change in the software violated US environmental regulations. The company made the admissions in a statement announcing it was mounting a vigorous defence against legal action by a group of shareholders over the scandal. The investors claimed in the action, filed in Germany, that VW failed in its legal duty to notify capital markets about important developments promptly. Public prosecutors in Braunschweig, near the carmaker’s Wolfsburg headquarters, have launched an investigation into Winterkorn and Diess on suspicion of possible market manipulation. Ironically, the scandal has coincided with VW achieving its ambition to be the world’s biggest carmaker. Booming sales in China helped it increase sales to 10.31 million vehicles last year across all of its brands – an impressive achievement considering the legal quagmire and reputational damage it has suffered. It feeds a belief within the motor industry, however, that the No 1 spot is a poisoned chalice, and that pursuing it fosters a management culture that leads to these sorts of scandals. General Motors had more than its share of turmoil when it held the lead at the turn of the century. It lost the title in 2009 as it entered bankruptcy, ceding it to Toyota, which by the end of that year was caught up in its own recall scandal over unintended acceleration. While the latest settlement pushes the total cost of the VW scandal over $20 billion – so far – the German group is strong enough to withstand the current financial fallout. Analysts reckon the cash it produces means it could absorb an impact of €70 billion without having to sell brands or raise equity. Yet the payouts will take from much-needed spending on research and development, at a time when the motor industry is undergoing a tech revolution. In product terms, the impact of this scandal will only start to show on the roads from 2020 onwards. This week’s settlement may draw a line under any US criminal charges against the corporate body, but the threat of further charges against VW engineers and executives at the helm at the time remains real. So, too, do efforts by shareholders, owners and dealers outside the US to seek financial compensation. To date no other car firm has been caught using similar devices, but authorities are alert to such tactics now. This scandal has much further to run. Next Tuesday the High Court is expected to set a date for a full hearing in the latest instalment of a civil action brought by an Irish motorist against the German car giant. Eithne Higgins, a Roscommon nurse, is the owner of a Seat Leon 1.6 TDI SE. It is one of an estimated 110,000 vehicles in Ireland fitted with a cheat device. Higgins took the case against Volkswagen in Castlebar District Court, where the maximum general damages are €15,000. She is represented by Evan O’Dwyer, a Co Mayo solicitor with a practice in Ballyhaunis. O’Dwyer Solicitors is believed to represent 800 affected owners, with up to 50 of these cases currently before the courts. None are as advanced as the Higgins case. Earlier this week, a group of 10,000 VW owners in the UK filed a lawsuit against the German car firm, seeking £3,000 compensation each. If the company had to pay that amount to each of the 1.2 million UK owners of affected cars, including its Skoda, Audi and Seat marques, it would cost more than €4 billion for the UK alone. Yet the Higgins case has drawn international attention, for despite a raft of similar actions that have commenced elsewhere, it is believed to be the first to seek that VW make public the original expert opinion and technical evidence used to develop its claimed fix for the affected engines. 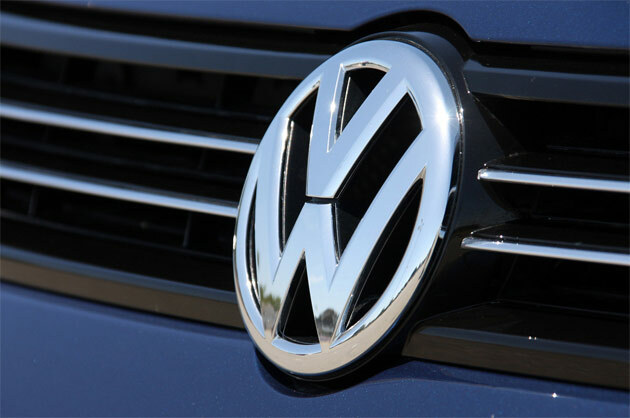 VW claims its fix has no significant impact on CO2 emissions levels. Expert witnesses appearing before Castlebar District Court disputed this, saying there is an intrinsic link between NOx levels and CO2 emissions in combustion engines. VW has stonewalled legal efforts to access test data it used to back up its claims. So far the Irish Government seems to have taken VW at its word. However, if it does turn out that there is an impact on CO2 emissions, that may well have consequences for the tax paid and due on affected cars. Since July 2008, Irish vehicle registration tax and annual motor tax are based on emissions levels. The legal cases have also highlighted the contrasting approaches of VW in the US and in Europe. The carmaker has refused to compensate owners here or elsewhere in Europe, despite a settlement that will see affected owners in the US receive an average of $10,000 each. Perhaps this is because reports estimate that, if the company has to pay compensation – and fines – in Europe on the same scale as it did in the US, its total legal costs could run to hundreds of billions. Even for a firm with a turnover of €230 billion, that could pose a systemic challenge. US lawyer Michael D Hausfeld, who was party to the $15 billion partial settlement VW reached with US consumers and authorities last year, has teamed up with legal counterparts, including O’Dwyer Solicitors, to represent affected owners outside the US. Last September, speaking to The Irish Times, Hausfeld said Volkswagen had been extremely deferential to American regulators but that “VW is paying indifference to European regulators”.